The Goulburn Concerto is a commissioned work that emerged from an email conversation on a Sunday morning between Anita and world renowned composer Sean O'Boyle. Through the support and vision of the Canberra Symphony Orchestra, Moravian College (US) and the Goulburn Regional Conservatorium, the Goulburn Concerto has come to life and was premiered in the Llewellyn Hall, ANU School of Music on Tuesday 5 April. The Goulburn Concerto is the centrepiece of a groundbreaking collaboration between music educators, professional and scholars to create a work where young beginner musicians can play alongside professional musicians as equal members of a work. Rarely do musician who have only been playing for 1 or 2 years get the opportunity to sit next to a professional musician on a concert hall stage. Yet even more importantly they never get to perform together in a work where their parts are purpose written for their skill level. Together they will equally contribute to the performance, and the young musicians will experience the power of hearing, seeing and interacting with professional musicians on an equal footing. The Goulburn Concerto will change the lives of these young musicians, many from disadvantaged backgrounds in regional Australia, and at the same time, mark a realisation of an new and powerful approach to music education, music genres and composition and effective partnerships across music institutions and organisations. None of this would have been possible without the vision and support of Canberra Symphony Orchestra, Moravian College, Goulburn Regional Conservatorium, Goulburn Public School and Kirsten Williams. The Goulburn strings project began as a beginner string program for Grade 2 and 3 students at Goulburn Public School. The project aims to address the issue of access and equity in the area of music education for students in a regional school with several unique challenges. The project is a collaboration between the University of Canberra, Goulburn Regional Conservatorium and Goulburn Public School. Children become engaged and confident at school, getting along better with peers and teachers, while making significant improvements in their reading, writing and maths skills. All of these benefits lead to new opportunities for their futures. But the students are not the only students in Goulburn who are missing out on equitable access to quality music education We need your support to expand the program. We are working towards obtaining funding to expand the program to other schools in Goulburn, and other regional Australian areas. Come join our team and donate funding, instruments or in kind support. Contact Anita today. We have had a huge boost this week to the Goulburn Strings Project. 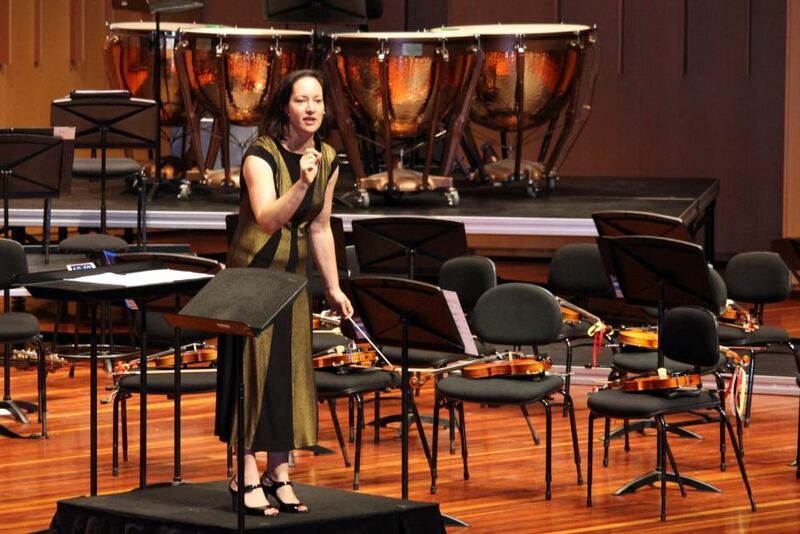 Sydney Symphony Orchestra violinist Kirsten Williams has joined Goulburn’s Regional Conservatorium as patrons of its strings program delivered to young school students. Director Paul Scott- Williams is chuffed to have his friend involved. The Goulburn Strings project includes a research study that will examine the changes in academic achievement, musical development and school climate that may occur as a result of the music program. The measures will be using the research instruments and framework of academic optimism developed by Dr Misty Kirby, Assistant Professor of Education at the Univeristy of Canberra.